If you’re like most creative entrepreneurs, managing your time is your biggest challenge. For one thing, there’s never enough of it. You have so many ideas, but can’t find time to get to them. You work long hours, but never make it through your to-do list. You’d like to focus on the big picture, but never get around to it—even though you know it would help you grow. And the life stuff? Well, let’s just say that your schedule doesn’t include much space for things like hobbies and self-care. They’re just not happening because you don’t have time to enjoy the freedoms of working for yourself. So you’ve thrown solutions at the problem. You tried implementing a morning routine. You tried time blocking. You bought a few (ok, a dozen) different planners that promise to keep your business and life organized and on track. But nothing has really stuck. Nothing has helped you better manage your time so you can be more focused and productive. And nothing has helped you make sure that your business supports your life, rather than taking away from it. You need a different approach—one that helps you simplify your schedule so you can get to the most important work in your business and enjoy more downtime in your life. That might seem impossible to you right now, but it’s within reach—if you’re willing to take 4 straightforward steps to simplify your schedule. To make it easier for you, I’ve created a short workbook that includes even more details about each step, along with calendar templates and examples you can use. To grab your FREE copy of the Simplify Your Schedule workbook, just click here. These 4 steps have revolutionized the way I manage my time and given me (and my clients) an effective structure to rely on. I believe they can for you as well. If you want to effectively manage your time, you have to start in the right place. How you define your priorities will determine whether you make steady progress, or burn out. Instead of going straight to your calendar and penciling in a ton of to-dos, you’re going to identify your top five priorities so you can get clear on what you really want to make time for first. Defining your priorities helps you organize your time with intention, and also ensures you’re prioritizing the things that are most important to you in your day-to-day life. The bonus here is that this approach to scheduling feels good, so you won’t need to rely on motivation or willpower to make it work. People, like your kids or your partner. Things, like your business or your health. Hobbies or activities, like yoga or reading or roller derby. For me personally, my priorities are my family, my health, my partner, my business, and my local community—and I design my days to give to these important people and things in my life. After you identify your priorities, you’re going to create an ideal weekly calendar that shows you what your schedule would look like if you gave most of your time to your top five priorities. I’m going to make the assumption that your business is one of your priorities because, for entrepreneurs, it always is. Just don’t worry about getting specific yet. Right now, you’re just noting how much time you want to give each priority while accounting for whitespace for everyday life stuff too. Ideally, you’ll start by plugging in your life-related priorities, because—too often—ambitious entrepreneurs forget to schedule them in at all. My clients often tell me that they don’t have time to go to yoga or volunteer in their kid’s classroom, or just read a book once in awhile—but I know they have that time available if they prioritize those things first. After that, you can write in your business blocks. And if you’re thinking that you won’t have enough time to work if you plan the life stuff first, you’re not alone. This approach is different, but it works. I can promise you that my clients always have enough time to get to the work that needs doing when they map out their schedule this way. You can plan your schedule on your own calendar but it’s even easier to do using the blank template I’ve created for you inside the workbook. For example, if you prioritized fitness, you might write down what exercise class you want to take on a given day. If your family is a priority, you’ll write down how you’d like to spend that time with your family. You’ll want to assign blocks for these types of things so you know exactly what you’re working on, and when. I’ve shown you how to schedule time for each of these types of activities inside my guide, and shared sample schedules so you can see how I break down a day in my business and life. Once you’ve completed steps 1 through 3, you’ll have an ideal weekly calendar that shows you how you can set up your week to be productive in your business and enjoy more freedom in your life. The absolute key thing here is committing to actually using your new schedule, because you’ll never find out what works—and what doesn’t—if you don’t put it into practice. I recommend committing to your new schedule for 2 weeks, then revising it as needed. It is the refining process that shapes your schedule into something more than what you hope to be able to accomplish with your time. Trial and error helps to clarify what might be a little too ambitious, what you can invest more in, and where you got it just right. After that trial period, you’ll be able to use your ideal weekly calendar to plan the specifics of your schedule in about 15 minutes a week. You’ll know how long things actually take and not what you think they’ll take. How effective they are for you, rather than how effective you think they might be. And you’ll know that your new schedule will help you use your time wisely, on the most important things in your business and your life. Ashley Gartland coaches women entrepreneurs who have experienced some success but who feel like a hot mess behind the scenes—and they know it's holding them back from reaching the next level. She helps them simplify their business and build a stronger foundation so they can experience more growth and fulfillment in their work and more freedom in their life. 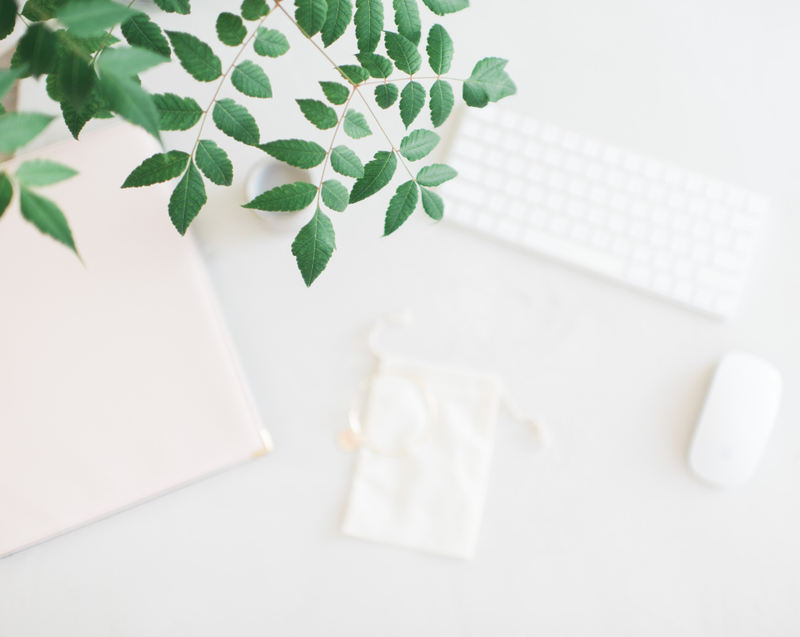 To connect with Ashley and grab her free workbook, Simplify Your Schedule: A 4 Step Guide to Master Your Time, just click here. Ashley is also leading a FREE Simplify Your Schedule workshop on May 4th. To join the workshop and take these steps together in person, just click here.